Everyone loves The Beatles with their hair grown over the ears. Blowing in the wind. 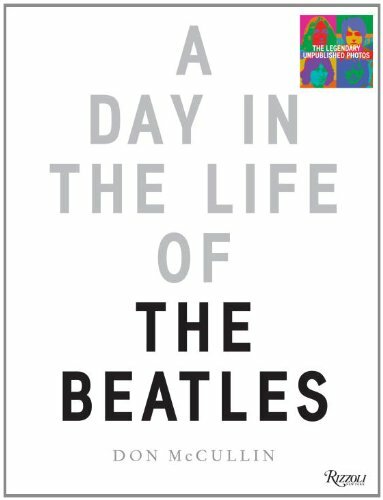 This is not just any Beatles book. This book is filled with photos of never- before-published pictures from THE WHITE ALBUM in 1968. The photos are extremely playful like most Beatles photos, however you can see how they have grown and the political times were affecting them. The carefree days of the “fab four” were coming to an end. This day, that is captured by photographer Don McCullin, is a wonderful historical moment in musical history.